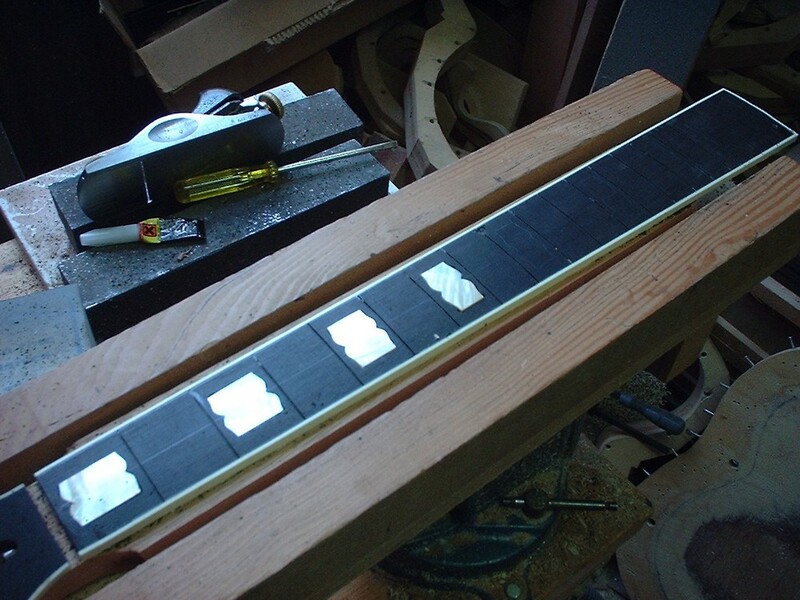 The fingerboard is made in ebony or rosewood. 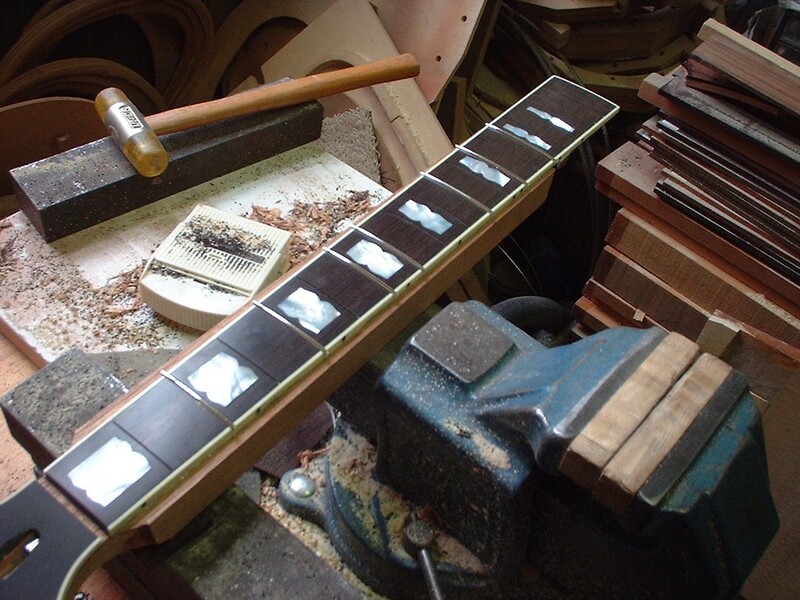 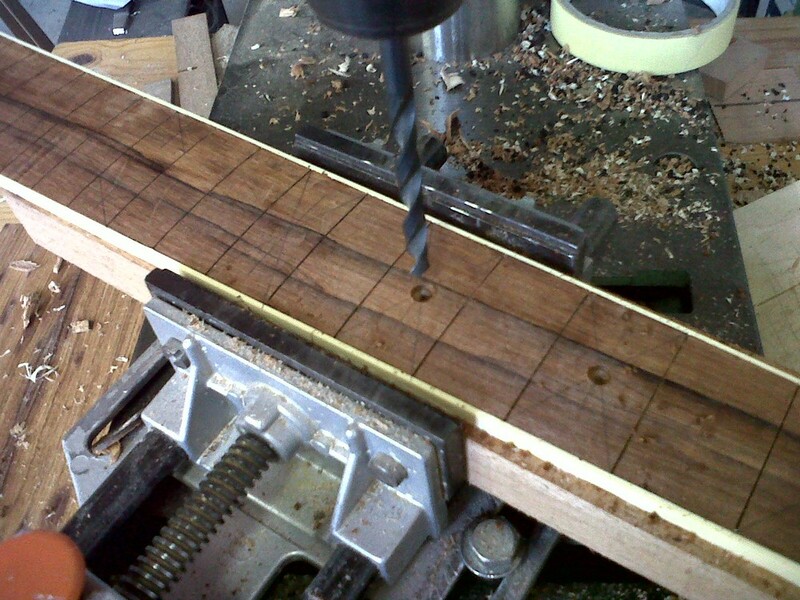 Madagascar rosewood or Bois de Rose are very good sounding fingerboard woods. 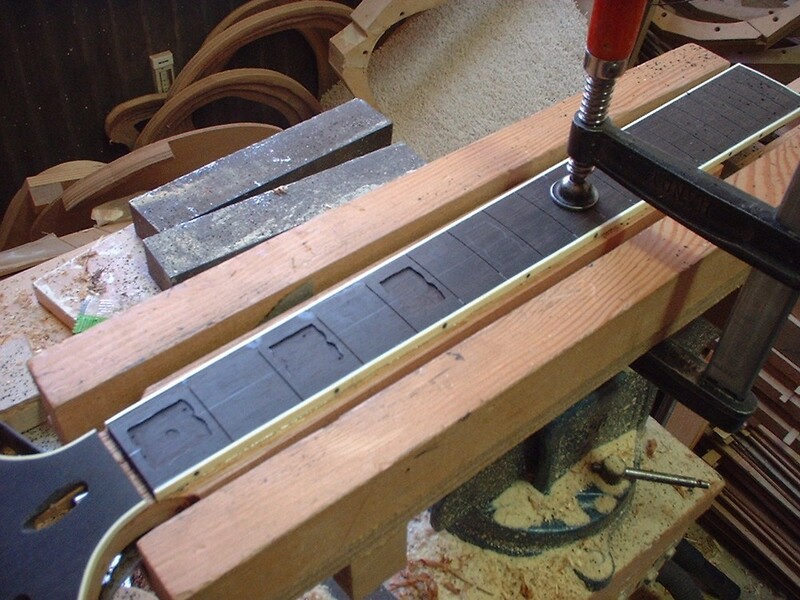 Scale length depends on the model or the wishes of the customer. 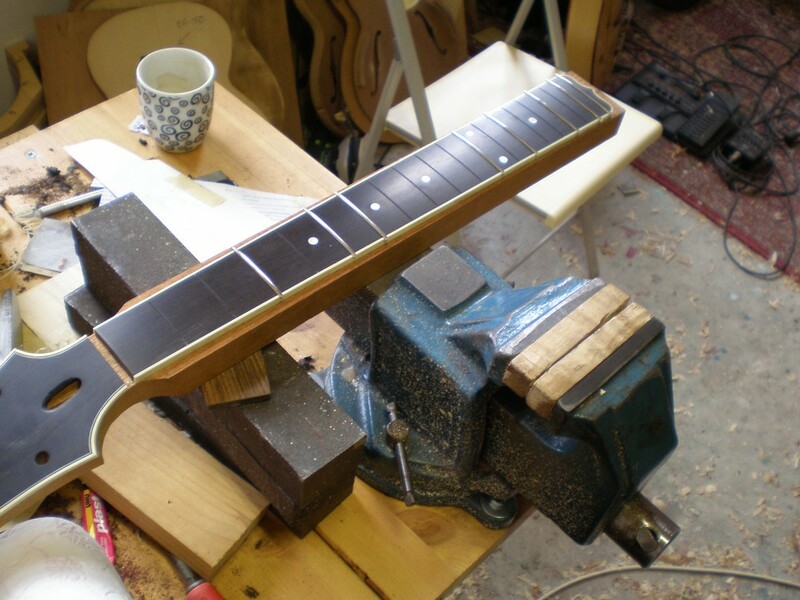 Fretwire usually is wide, medium high in nickel silver with EVO (harder alloy) as an option for longer fret wear. 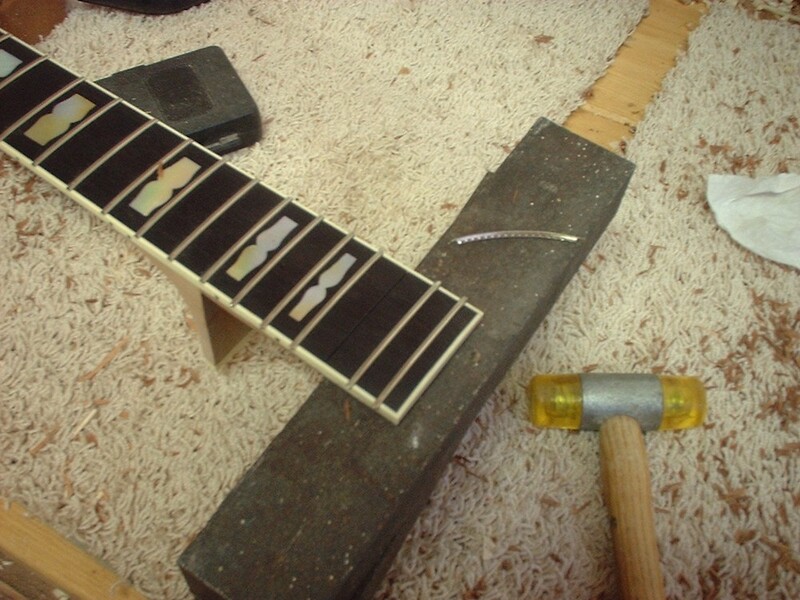 Other size (vintage style) fretwire can be used on commissioned guitars. 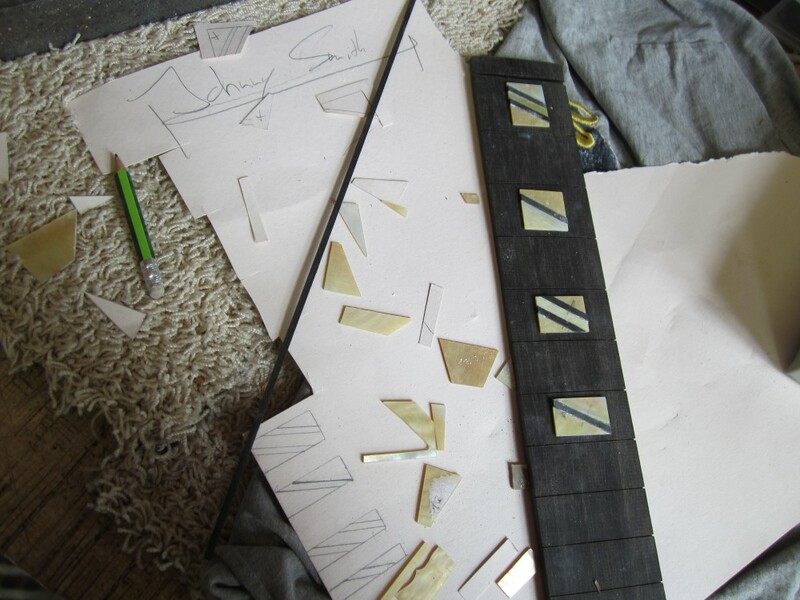 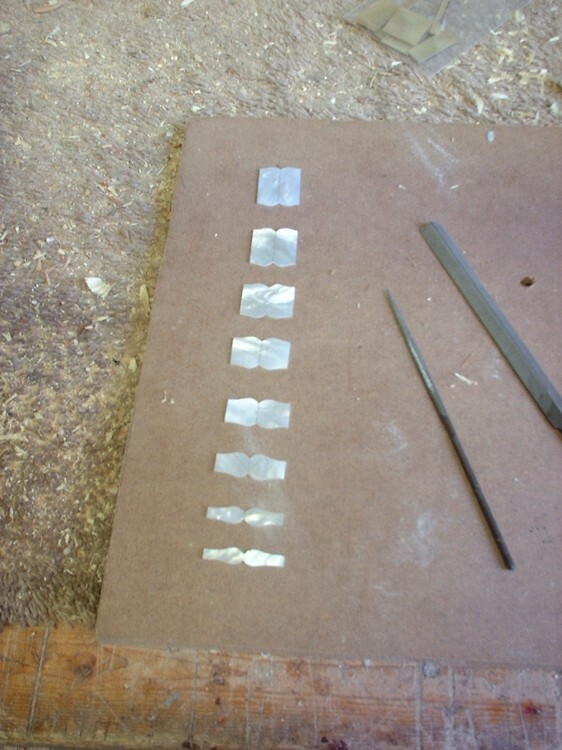 Inlay material is Mother of Pearl, gold (yellowed like in vintage guitars) and white.